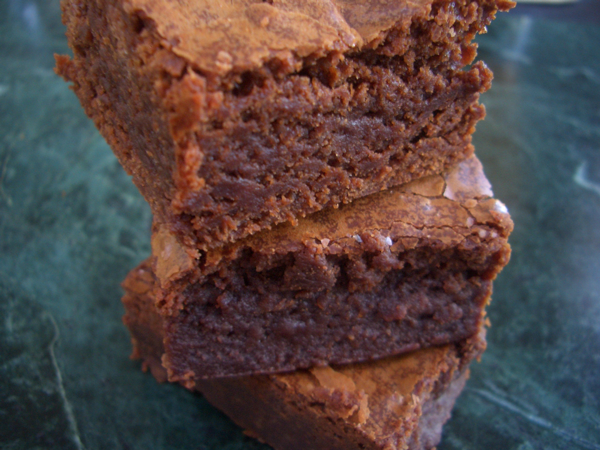 When it comes to brownies there are those who like cakey and those who like fudgy. I prefer the latter. If I want cake, I’ll eat cake. 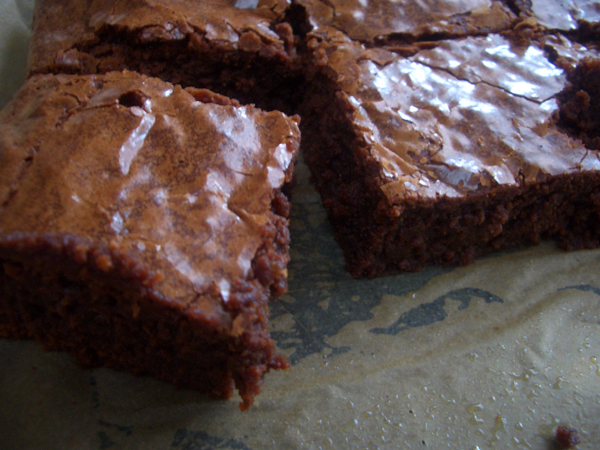 These brownies are moist, rich and dense. They’re something you bite into and suddenly that thing that just happened–you know the thing–that had you up last night and worried today–just goes away for a moment and you melt into a pool of bliss. Something like that. There are no leavening ingredients such as baking soda or powder in this recipe. Apply a light coating of cooking spray or oil to the pan. Add a layer of parchment to the bottom long enough that it hangs over two of the sides a bit. This will make it easier to pull the brownies out of the pan. Lightly oil the top of the paper. Sift the three sugars together and set aside. Sift the flour with the salt and set aside. 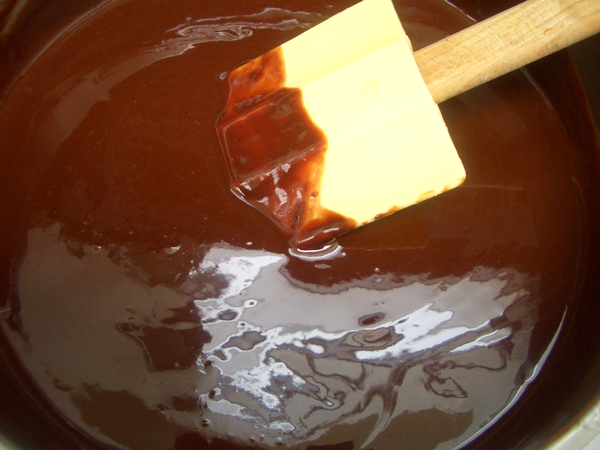 In a saucepan over low heat, melt the butter and chocolate together, stirring occasionally. Do this slowly. We’re not using a double boiler, so if you have the heat too high you’re going to scorch the chocolate. 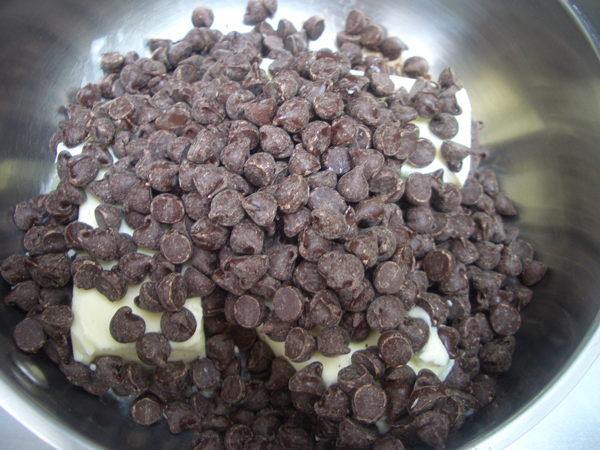 If you like, you can do this using a double boiler or a bowl over a pan of hot water. In a mixing bowl, lightly beat the eggs with a whisk or fork. Add the sugars and mix together with a rubber spatula or wooden spoon until just combined. 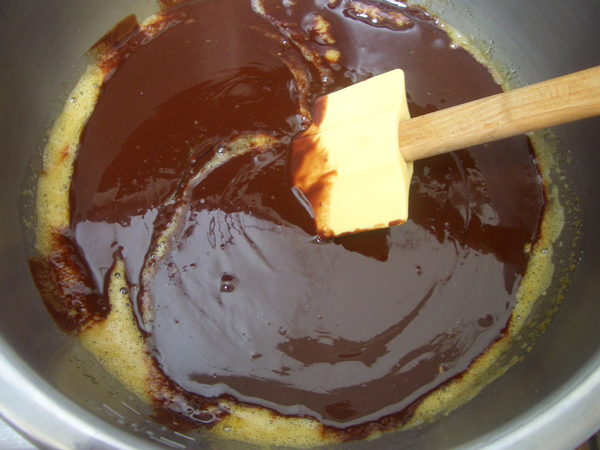 Add the chocolate butter mixture to the egg mixture and mix until just combined. Add the flour and salt mixing until just combined. 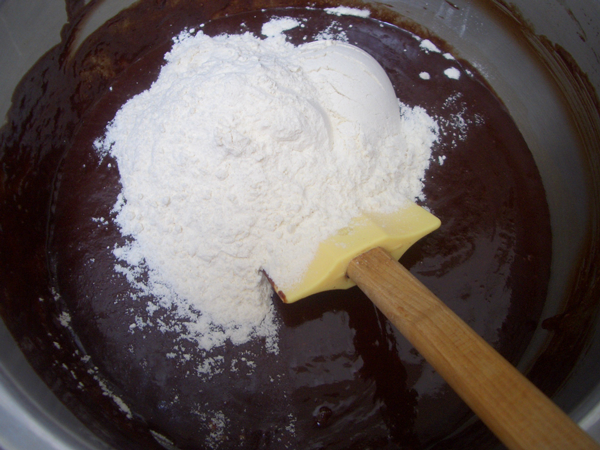 You don’t want to over mix the batter at any stage, but make sure all the white streaks of flour are gone. Bake for about 1 hour, or until the sides start to pull away from the pan. 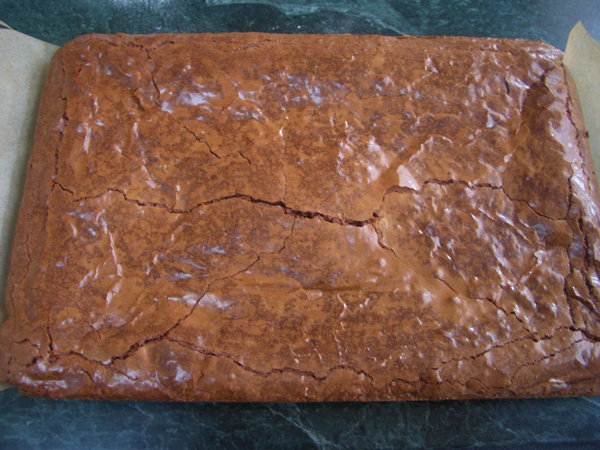 A toothpick inserted into the center of the brownies will not come out clean, it will have fudgy bits all over it. You want this. You don’t want dry brownies. 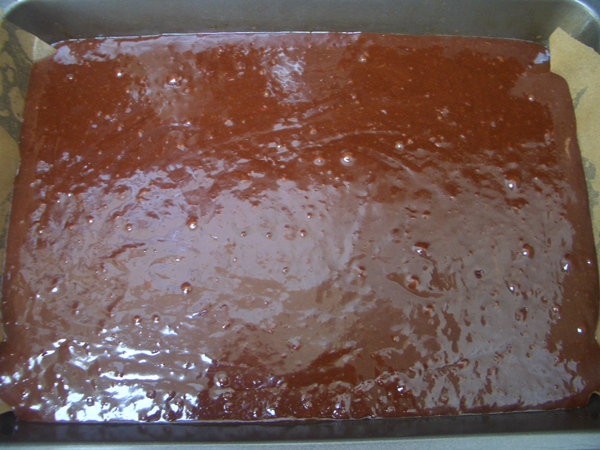 Cool the brownies in the pan on a wire rack. Once cool, run a knife along the edges that aren’t lined with parchment. 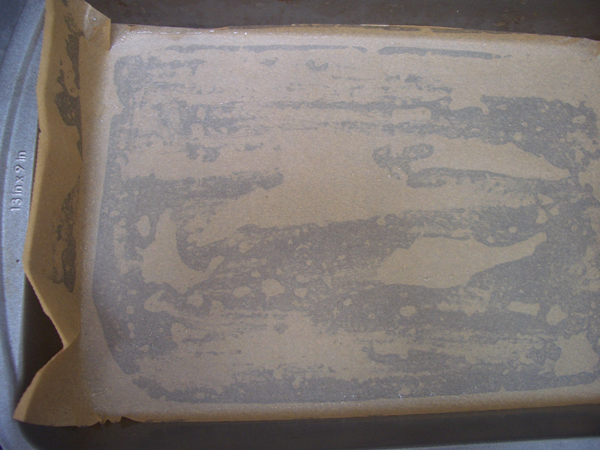 Using the parchment flaps, pull the brownies out of the pan. Cut into individual pieces. I cut them small, but you could go bigger.